AutoLightmapUEr is an Unreal Engine editor plugin that allows you to easily enforce consistency of lightmap density across your level, saving precious memory and reducing lighting build times. 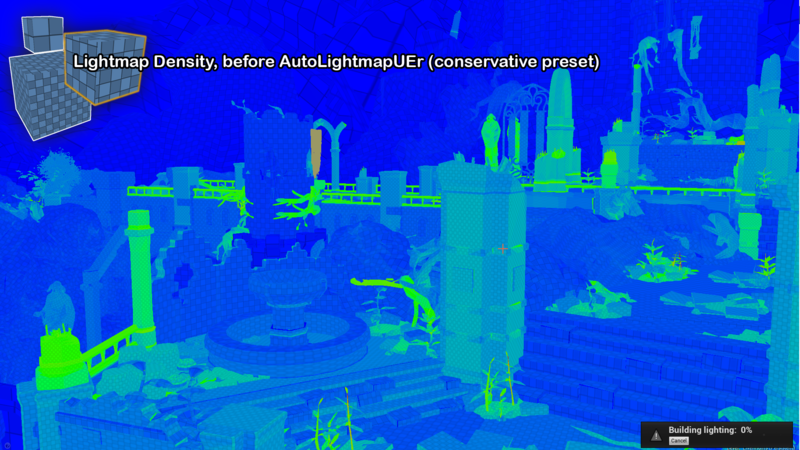 AutoLightmapUEr goes through your level and adjusts every mesh's lightmap resolution according to its size in the world and the preset values you specify. Need a new preset for a specific project? You can add your own, finetuned to work just the way you need. 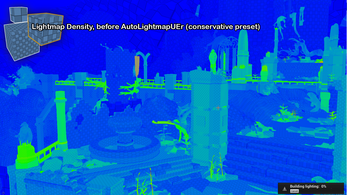 "All" mode now also works correctly on (Hierarchical) Instanced Static Mesh Components. 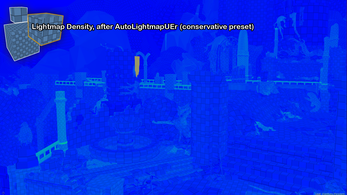 Before, UE returned the extents of the surrounding volume of *all* the instances together, apparently. 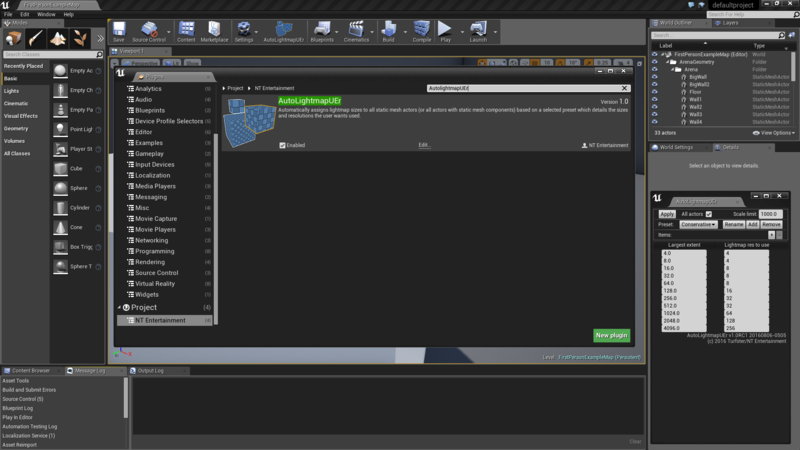 "All" mode now also works with freshly added blueprint actors. 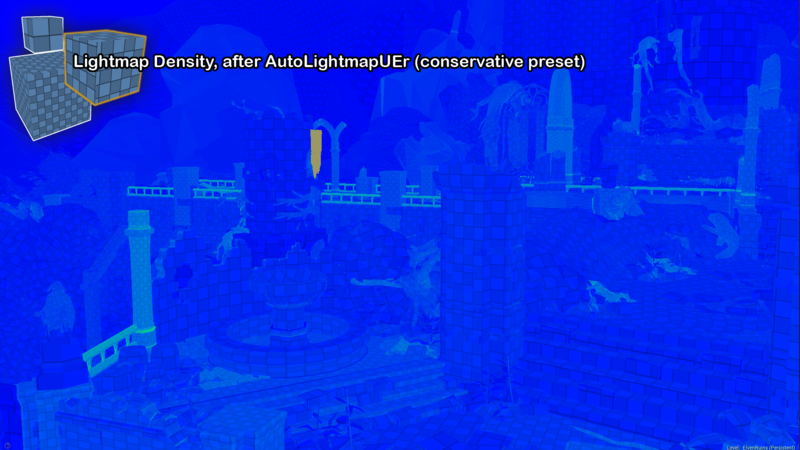 which could lead to sometimes picking the wrong lightmap size if only some components were scaled. Cleared up how the values are used, with expanded tooltips: the "extent" values are the half-length from the center by default. There is now also a new option that switches calculation to full-length, if you prefer, for your own presets. 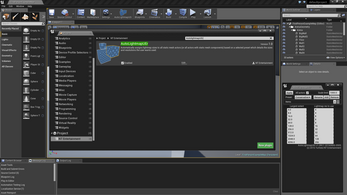 You can now use folder names to override the currently selected preset. Actors inside a endpoint folder (read: A\B\C C is checked, A and B aren't) whose name matches that of a preset, will use that preset to calculate lightmap sizes. New "Go deep" toggle that will propagate the lightmap change to the meshes themselves, and their various LOD levels. 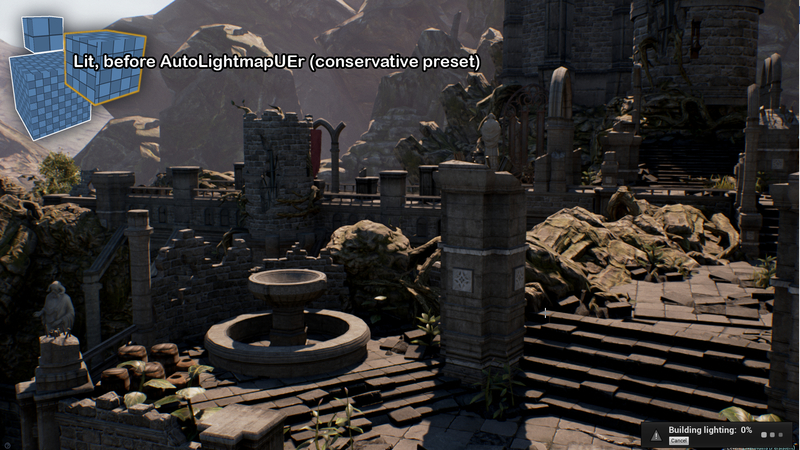 Was added because some people encountered strange unreproducible effects with lightmap overrides working backwards for lower LOD levels. You shouldn't need this, normally, but if you run into any trouble, you might maybe give it a try?